Gardens are the perfect places to relax and feel the peace of nature surrounded around greenery. But if your garden is too overgrown and full of weeds, this may not have the same effect as spending time in a well maintained garden. You can take advantage of our gardening services which are at your disposal in Clapham SW4 whenever you need them. Our gardening experts can consult you how to take care of your plants and do the necessary corrections and improvement in your garden. Our gardeners will take care of the plants in your garden. They can trim the hedges, cut the excess the tree branches, shape the shrubbery, edge the lawn, shrubs and flower beds. 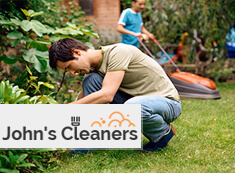 If you have many weeds spreading around your garden, our gardening specialists will remove them applying the proper detergent to get rid of them. The weeds will be eliminated and won’t appear in your garden any more. Our gardeners use modern and powerful lawn mowers which will keep the grass in your garden on the desired length. Keep your garden in order, neat and clean by using our gardening services which we offer in Clapham SW4 and the surrounding areas. You can call on our phone operators to schedule a meeting with our gardeners. 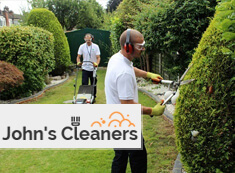 They can maintain your garden clean, mow the lawn and trim the hedges, neat and looking attractive. Our gardeners can also pressure wash the paved areas in and around your garden, gather the branches, grass, leaves and wastes in it. Book the gardening services which you need and our landscapers, who operate in SW4 Clapham will provide them at a preferred day and time. You will have a nice looking garden with many plants that will make your property inviting.